ATTENTION, DEVELOPERS, INVESTORS AND DREAM HOME BUILDERS. : don't miss this chance! Great land value. Imagine the kind of dream house will look like with this extra large size 3403sf city corner lot with 27' frontage ? 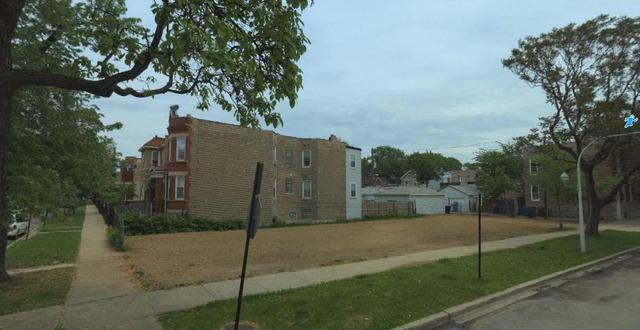 Zoned for RS-3, located in the most up and coming area, on quiet street but close to North Ave, Pulaski Rd and Grand Ave, schools, public transportation, and Humboldt Park. Corporate and agent owned. Adjacent land 1505 N Springfield , with PIN 16021020260000, is also for sale . Buy these two adjacent lands together for bigger project. Listing provided courtesy of Richland Global Inc.